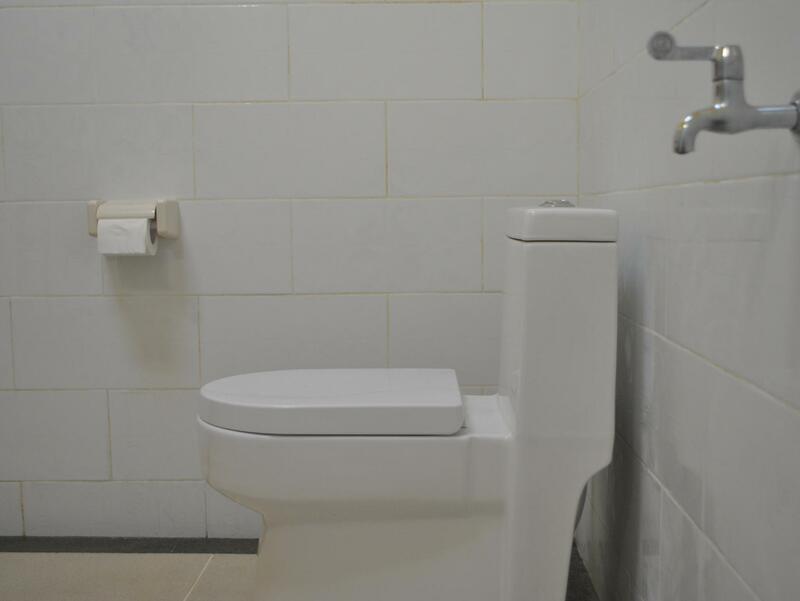 "The room is very clean and the air conditioner has really re..."
Have a question for Villa Sahabat? "Very nice place to stay, i'll come back then"
"The villa is nice and clean and even has a TV & DVD player for the chilled nights in." 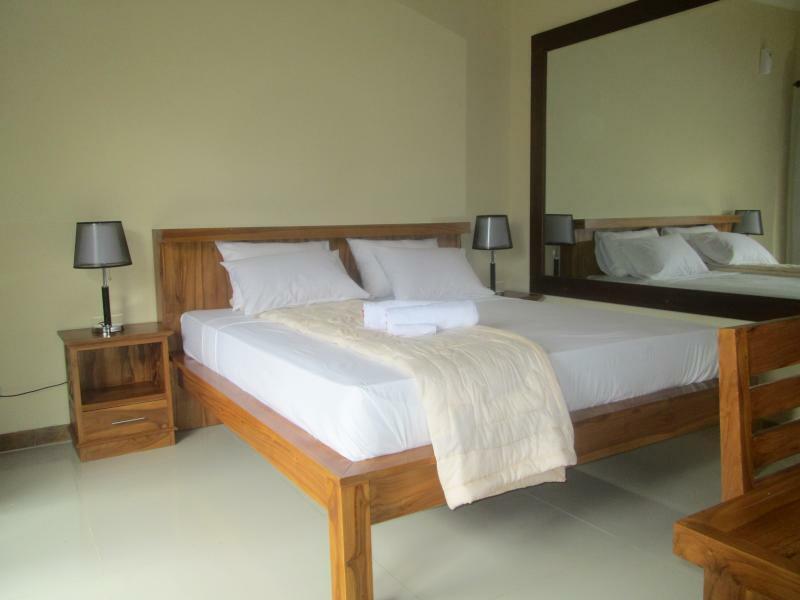 "If we go to Gilli again we will surely choose this accomodat..."
When visiting Lombok, you'll feel right at home at Villa Sahabat, which offers quality accommodation and great service. From here, guests can enjoy easy access to all that the lively city has to offer. With its convenient location, the hotel offers easy access to the city's must-see destinations. At Villa Sahabat, every effort is made to make guests feel comfortable. To do so, the hotel provides the best in services and amenities. Guests of the hotel can enjoy on-site features like free Wi-Fi in all rooms, Wi-Fi in public areas, room service, airport transfer, laundry service. Step into one of 3 inviting rooms and escape the stresses of the day with a wide range of amenities such as television LCD/plasma screen, clothes rack, mirror, internet access – wireless, private pool which can be found in some rooms. The complete list of recreational facilities is available at the hotel, including outdoor pool, diving, fishing, garden. Whatever your reason for visiting Lombok, the Villa Sahabat is the perfect venue for an exhilarating and exciting break away. "Staff was very helpful and nice." The staff is so helpful and friendly. He's waiting for our arrival outside because our flight was delayed and arrive quite late. Love it when you woke up in the morning the pool was just outside your room. Breakfast was homemade. The only thing is pool was salty sea water full of chlorine, shower and tab water is sea water being filtered. But what do you expect on an island right? Night market and harbour is around 10 min walks. Private pool is amazing. View is worth it. Cahaya room was so big. Friendly staff but no iron included . Other facilities was woww except plug. Simple word : valuable. recommended. We stayed in the one room villa for 3 nights. Its a small set up made up from three units only. The condition of the villas are as shown in the photos. We were lucky to be given the more private one bedroom villa where the neighbours couldn't look in. The two bedroom villa didn't have as much privacy. Breakfast selection was very minimal. We were quite bored with it by the 3 day. Staff was very helpful and nice. They gave us extra beach towels daily. Bring your own toiletries. Lots of mosquitos in and around the whole island so apply insect repellent 24/7. It's short walk to beaches to the south. They have bicycles to rent for about USD3 a day. Wifi is kinda weak. We would consider staying here again. Hope they keep up the maintenance of the property. It is starting to slide a little - blown blubs, broken power sockets .... little things. Wir haben zu zweit eines der drei Appartemts gewohnt. Der Terassenbereich ist total schön, der Pool sauber und alles sehr modern. Das Schlafzimmer ebenfalls sehr schön möbliert und alles recht neu. Einzig das Badezimmer zeigt Spuren von Abnutzung. Wir haben uns dort sehr wohl gefühlt. 수영장이 마음에 들어서 예약했었는데, 시설이 깔끔하고 친절해서 좋았습니다. 차가 없어서 짐을 가지고 갈때 좀 힘든 위치였지만, 짐 없이 걸어서 선착장까지 무난하게 왕복할 수 있는 거리입니다. 조식은 보통수준입니다만 웰컴드링크와 아이스커피가 좋았습니다. 레스토랑이나 카페에서 마시는 쉐이크 보다 더 시원하고 맛있어서 룸서비스로 주문하기도 했습니다. 2커플이 2베드룸 프라이빗 풀 있는 방 예약했는데, 아주 잘꾸며진 풀빌라 수준까지는 아니었지만, 방도 넓고 청소가 잘 되어있으며, 개인수영장에서 4명이 불편하지 않게 잘 이용했고 (수심이 1m30cm 정도) 에어컨도 시원했다. 다만 해바라기 샤워 수전 수압이 너무 낮아서 씻는게 불편했다. 발 씻도록 설치된 수도는 수압이 좋아서 그 수전에 의지해서 씻었음. 아침식사는 간단한 4-5가지 메뉴 중 선택해서 주문할 수 있고, 빌라에 레스토랑은 따로 없지만 직접 조리해서 주기때문에 따뜻하게 먹을수있다. 비교적 깔끔. 시내와 가까운위치임에도 불구하고 골목 끝에 위치하여 한적한편. 소음에 예민한 사람이라면 근처에 있는 기도원이 있는것 같은데, 기도소리가 조금 거슬릴수도. 가구는 좀 오래된듯. 침대에 올라갈 때 마다 삐그덕 대긴 했다. 티비는 이용할일이없어서 이용하지 않았지만 케이블도 설치되어있는듯. 미니냉장고도 구비. 기본 어매니티들도 모두 구비되어있음. 수건은 교체해달라고 안하면 자동으로 교체 안해줌. 반드시 요청할것. 작은 수건은 없고 큰 샤워타월과 비치타월 제공. 자전거는 유료. 카운터 직원 통해서 빨래, 투어 예약 가능. 그런 모든 시설 대비 가격이 매우 저렴하고 위치 조건이 좋다. 다시 이용할 생각 있음.